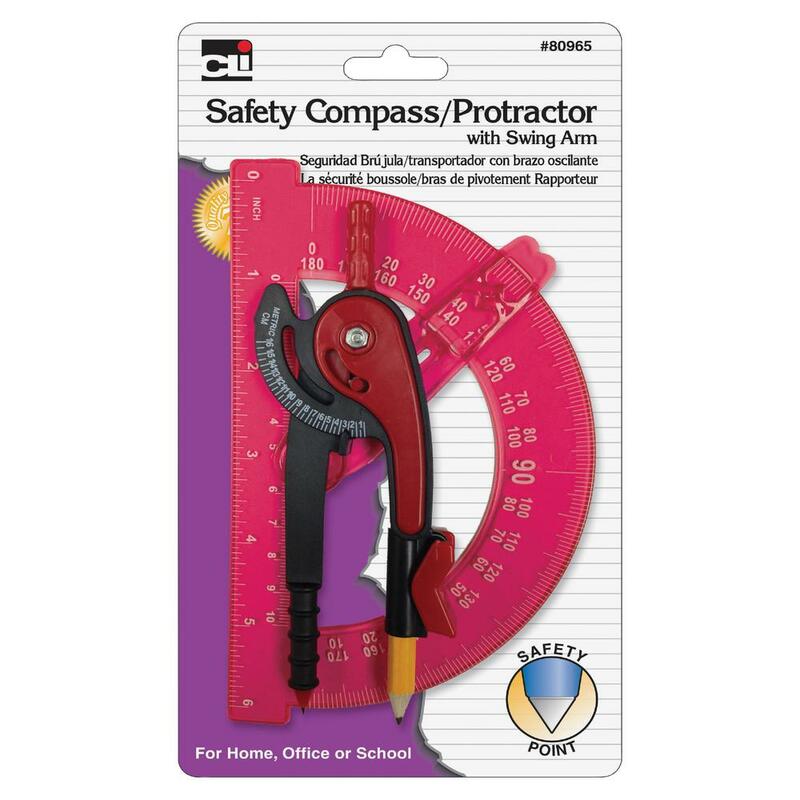 Measuring set features both a safety compass and protractor to provide multiple ways to measure angles. The safety point on the compass ensures safe, easy handling to prevent misuse. Plastic compass with an included pencil creates accurate circles up to 12". 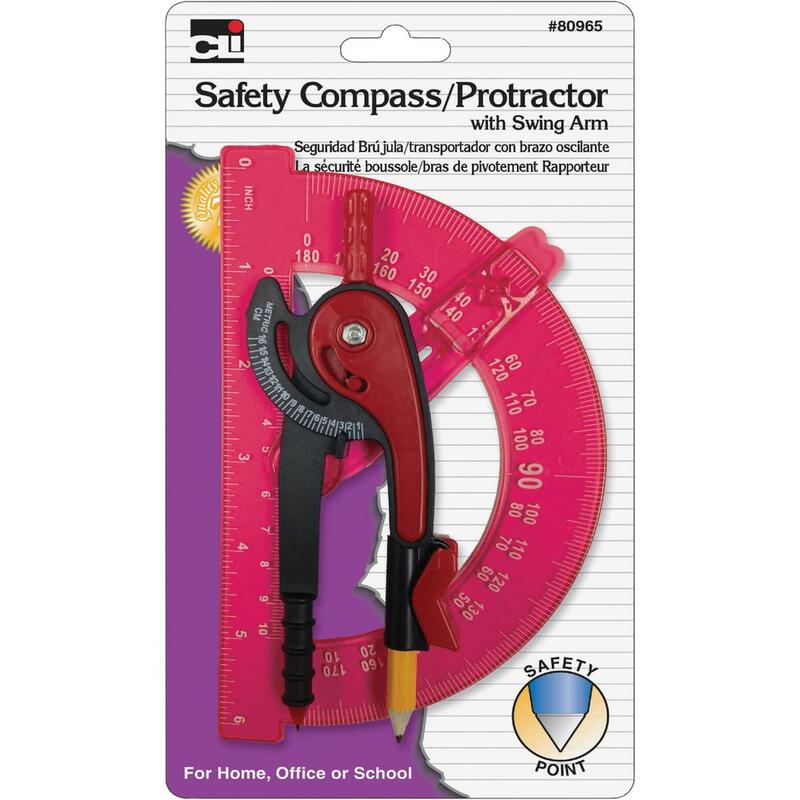 Plastic protractor with a 6" swing arm is designed with sharply defined graduations to prevent reading errors. Measuring set is perfect for use in homes, offices, schools and more.